He is doing yet again. Lionel Messi is leading Barcelona to yet another LaLiga title, and this time at Atletico Madrid's expense. 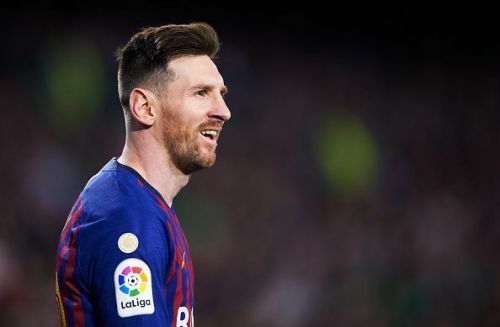 Messi scored another hat-trick as Barcelona beat Real Betis 4-1. 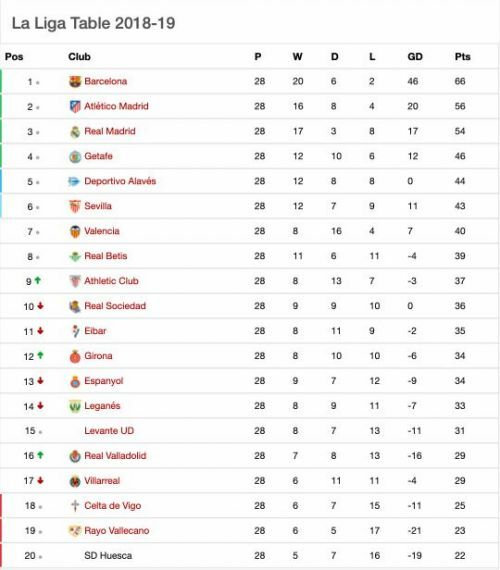 Coupled with Atletico's 2-0 loss at Athletic Bilbao, Barca's lead at the top of the table is now 10 points. Ten more fixtures are left for both sides, and Ernesto Valverde's side are huge favorites to retain their crown. Zinedine Zidane's second spell at Real Madrid started on a winning note, as his side beat Celta Vigo 2-0 at the Santiago Bernabeu. They are virtually guaranteed a Champions League spot, but fourth-placed Getafe are certainly not. A goalless draw transpired between them and Valencia, and they are now just two points above Alaves, who beat a struggling Huesca side. Sevilla are also contending for a European spot, and they claimed a close 1-0 victory over Espanyol. The competition around Sevilla is tight, and they trail Getafe by just three points. Numerous sides are competing for a spot in the top 6, and Alaves and Getafe are at the forefront. Not many expected those two to be around the top four at the start of the season. Real Sociedad and Levante shared the spoils in a 1-1 draw in the early game, and Sociedad are just about staying in the top half. Girona beat Leganes 2-0, and Valladolid won 3-1 against Eibar. Villarreal faced Rayo Vallecano in a massive clash at the foot of the table, and the former won the game 3-1. The loss means that Rayo stay in the bottom three, now six points adrift of safety. Bottom-placed Huesca are on just 22 points, and they look destined to be relegated. Celta complete the bottom three, and their drop of form has cost them severely. The loss against Real Madrid means that they are four points behind Villarreal in 17th place. Ten games is still a lot of time, and the likes of Celta and Rayo can stage a comeback in the coming weeks.